Portrait and Photo Cases are an elegant way to deliver prints to your clients! An alternative to a box, the photo case can hold up to 12 un-mounted prints and 2-3 mounted prints. 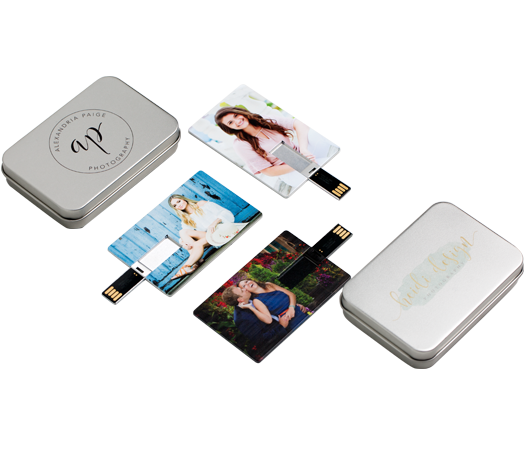 We offer a wide variety of sizes and colors to meet your photo packaging needs. Create a custom look with foil imprinting and accessories for a professional, high-end delivery. 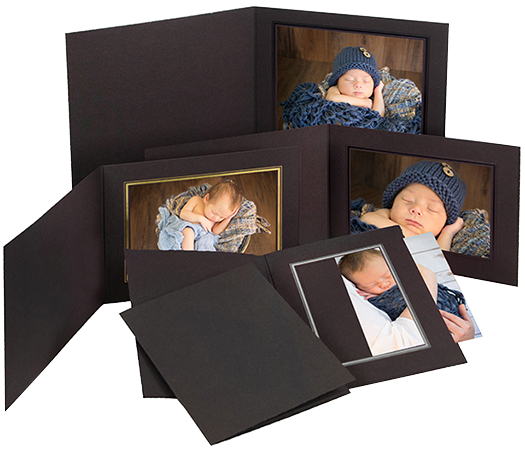 Tyndell Portrait Boxes are a high-end delivery option. Available in a variety of colors and sizes to meet your photo packaging needs. Imprint your boxes with your studio die for a fully branded professional look. Receive FREE IMPRINTING when you buy 100 or more boxes! We offer a wide variety of bags in many styles, colors, and materials. From flat merchandise bags, shopper bags and Euro Totes to frame bags, we have a great selection to satisfy all of your delivery needs. 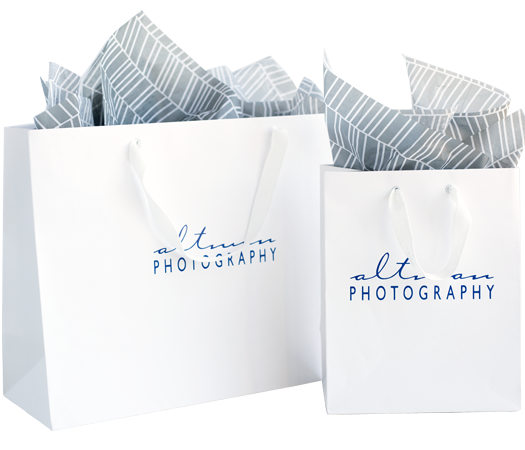 Add foil imprinting or screen printing to your bags to increase brand recognition, and a touch of tissue paper and ribbon to really impress your clients. Portrait folders and mounts are a popular choice for presenting images to your clients. Both provide an elegant way to deliver and display images. We offer a variety of multipurpose portrait folders that are often used for senior pictures, high school dances and other events, sports team pictures, holiday pictures, and more. We now proudly offer customized USBs and new USB packaging! USB flash drives are a convenient way to deliver digital images to your clients. Add customization to create a unique final product that is sure to impress your clients. Available in 8GB and 16GB storage capacities. We are the supplier of choice for all of your sports photo packaging needs! We offer a large selection of traditional and digital mounts, memory mates, easels, folders, envelopes, bags, accessories, and much more! 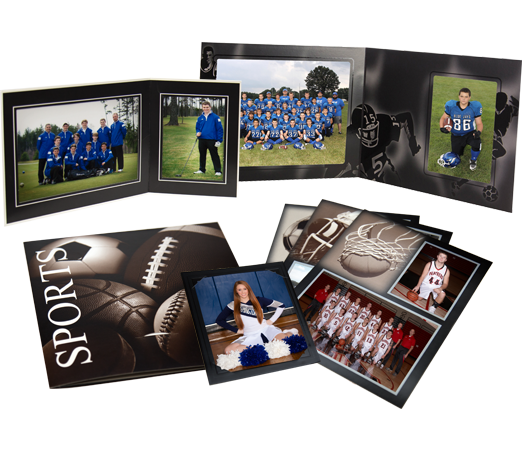 Our selection of products covers all types of sports and children’s photo packaging needs.